Modern U.K. Building Regulations call for the use, especially in public areas, of internal fit out materials that conforms to stringent fire regulations, as set out in Approved Document B of the UK's building and fire regulations. 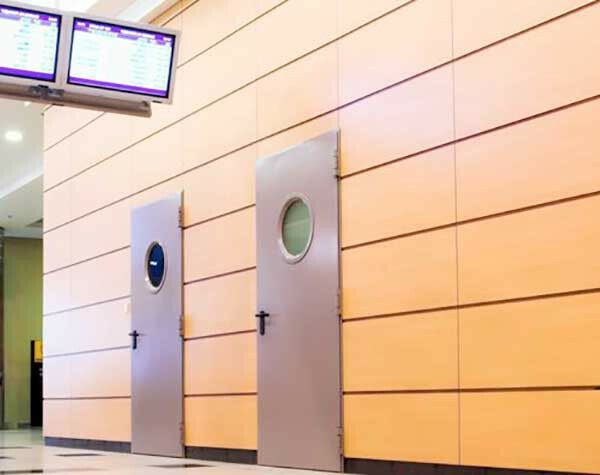 To meet the regulations, material components of panels cannot be tested in isolation: the combination of the laminate, adhesive and substrate must be tested in the form they are to be used. Any change to one of these components necessitates re-testing and subsequent certification. Morland, in partnership with Fomica and Medite have ensured a robust solution is provided for this with our fully certified product ready for easy specification. Available in 2440 x 1220 or 3050 x 1220 in thicknesses of 15, 18, 20 and 22mm the material is based on a Medite core bonded with an FR grade Formica finish, providing a large range of colour and grain options. There are few Formica finishes not available in the FR grade but all the colours, patterns and woodgrains are. We can also offer FSC® certification for the whole panel construction when required. Morland understand the characteristics of the substrates and the surfaces and so can recommend panel formulations for your particular requirements. For advice or a quote please Contact Us. Morland’s Euroclass B Fire Retardant Formica Faced Panels are tested to EN13501 using 15mm Medite MDF bonded with Formica 0.7mm HPL face. Morland’s Euroclass B fire retardant decorative panels are tested to EN 13501 using 15 mm Medite MDF bonded with a Formica 0.7 mm high pressure laminate face. 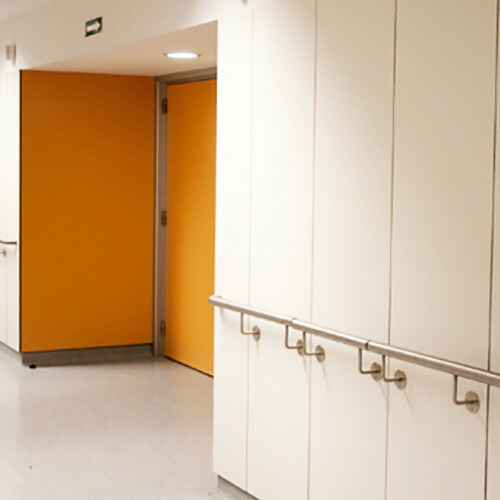 Fire resistant medium density fibreboard (FR-MDF) offers a tough, smooth surface with no imperfections which is suitable for many commercial applications. The panels are bonded on both faces with either a matching or balancing high pressure (HPL) Formica laminate to ensure stability and FR approval.